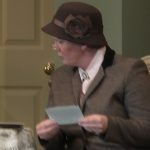 An announcement in the local paper states the time and place when a murder is to occur in Miss Blacklock’s Victorian house. 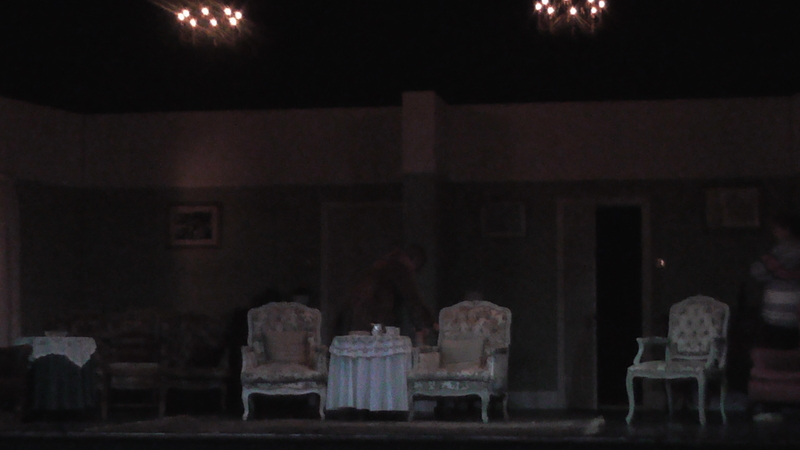 The victim is not one of the house’s several occupants, but an unexpected and unknown visitor. 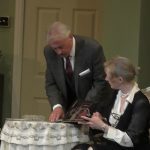 What follows is a puzzle of mixed motives, concealed identities, a second death, a determined Inspector grimly following the twists and turns, and Miss Marple on hand to provide the final solution at some risk to herself in a dramatic confrontation just before the final curtain. 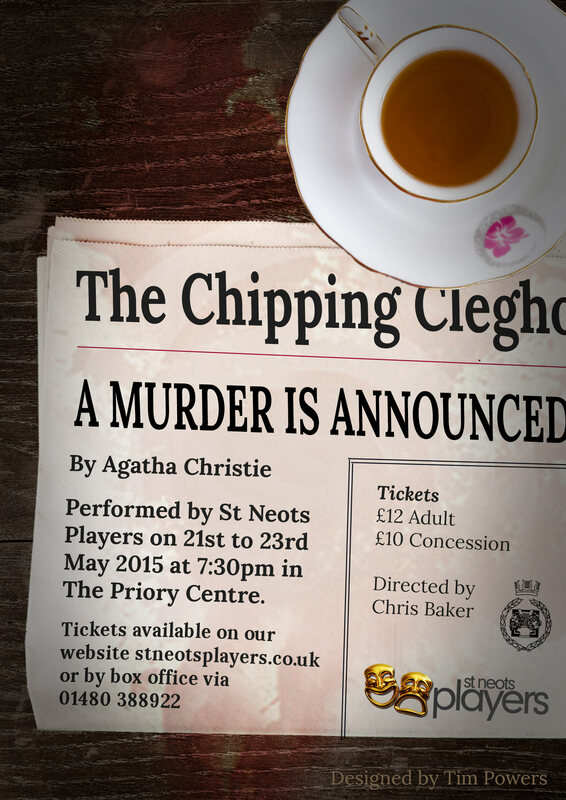 St.Neots Players make mystery their own. 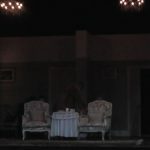 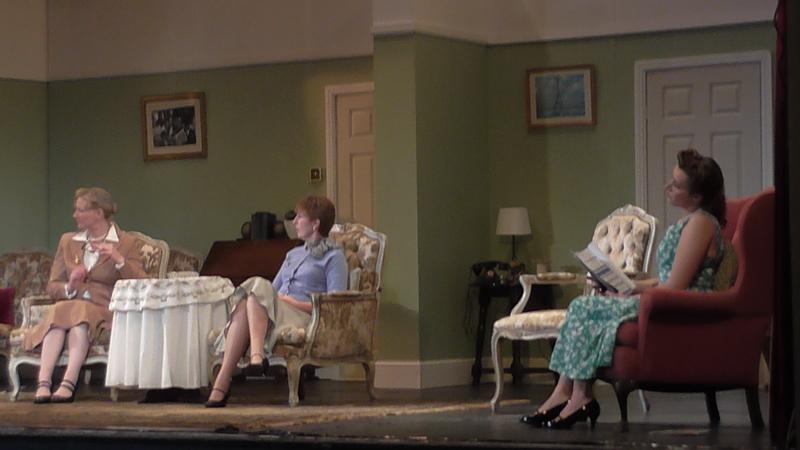 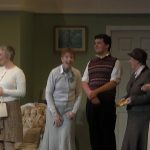 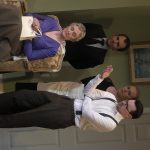 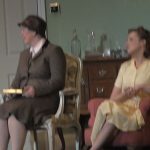 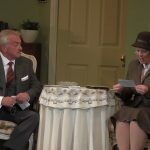 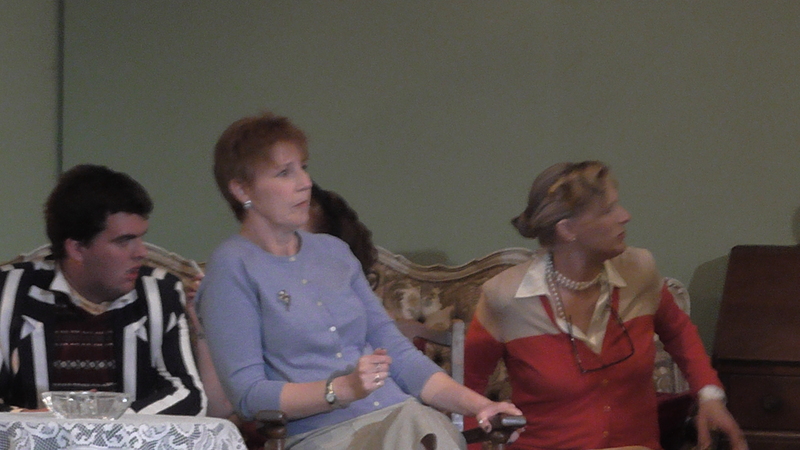 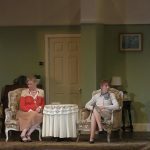 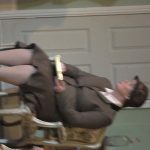 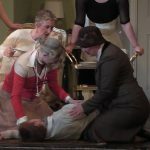 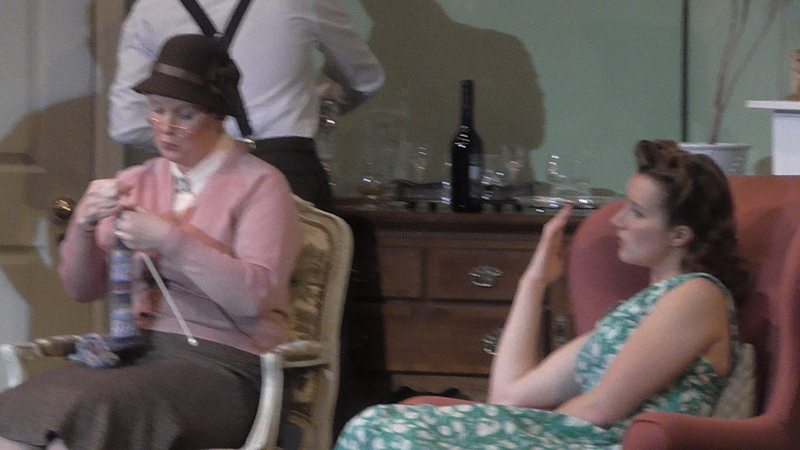 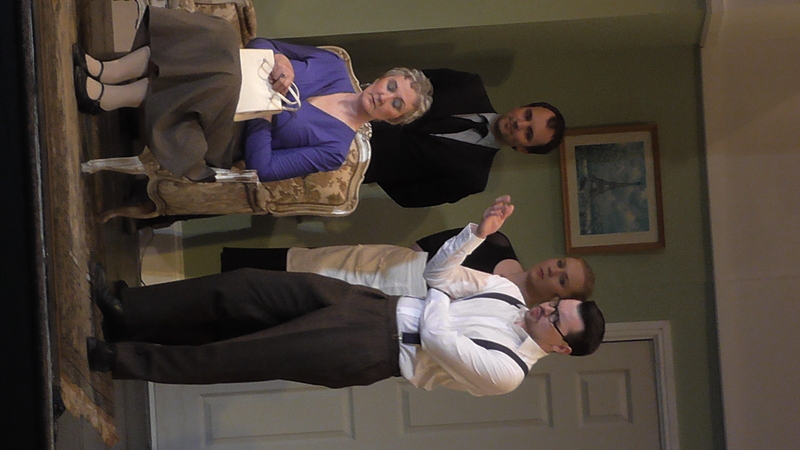 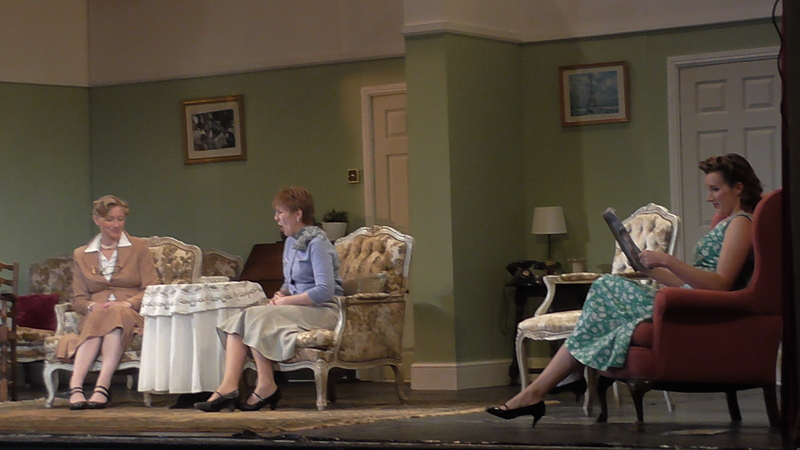 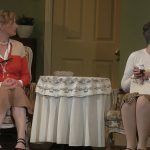 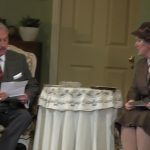 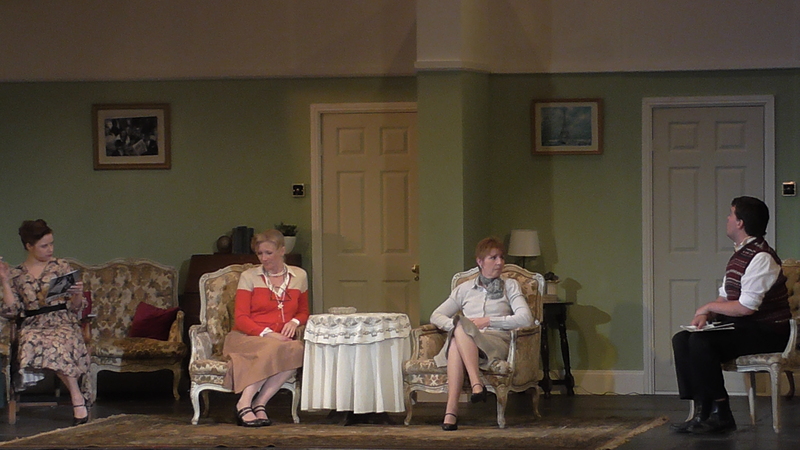 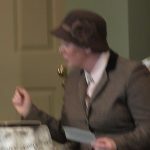 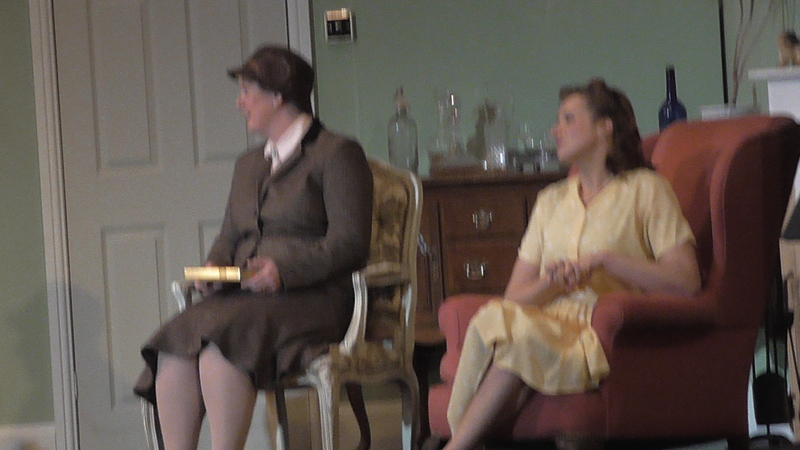 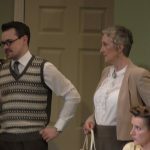 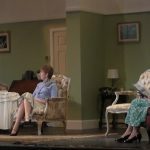 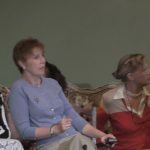 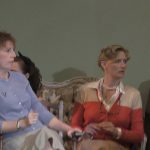 Most amateur dramatic groups in the country have produced an Agatha Christie play at some point in their history and a few recent interpretations have been very radical indeed. 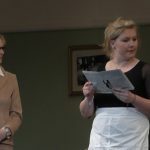 St Neots Players decided to play ‘A Murder is Announced’ at the Priory Centre from 21st to 23rd May with a straight bat …and a very fine innings they made of it. 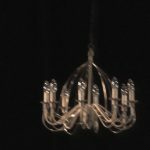 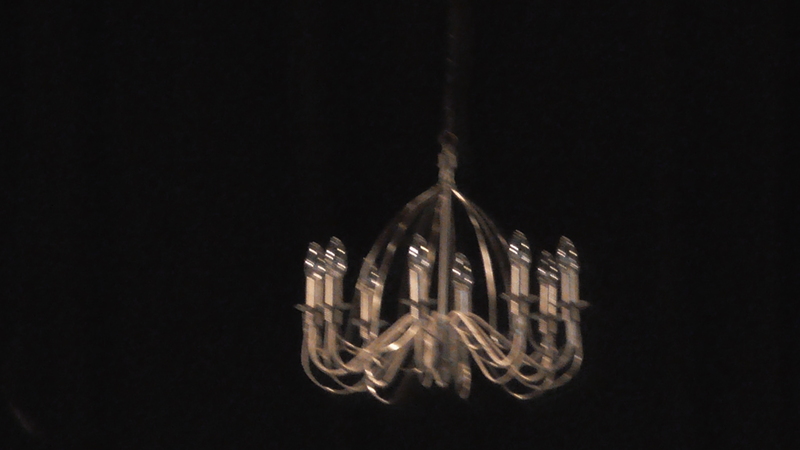 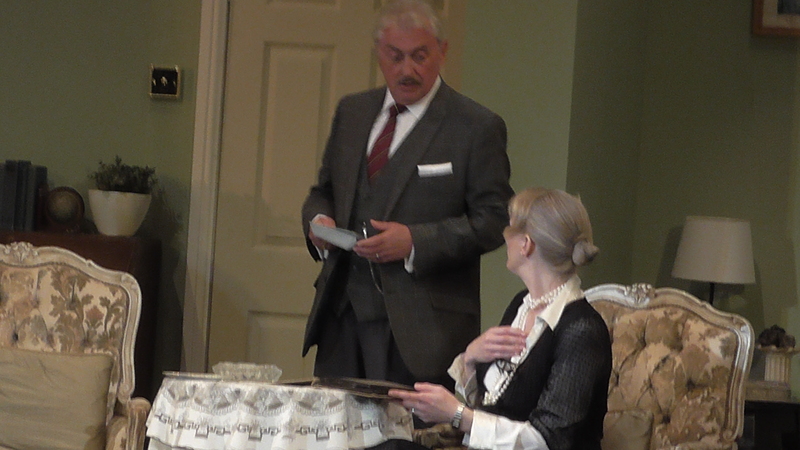 A substantial set rising from the nostalgic memories of the early 1950s dominated the stage with two wonderful candelabra hanging low to meet pastel flats and sturdy doors ( so vital to the plot) in a ‘double’ drawing room full of period pieces and totally appropriate props. 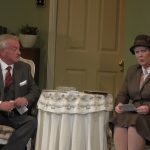 Many congratulations to set designer Nick Shadlock, properties guru Val Corrigan, Stage Manager Dan Cooper and their teams for a wonderful setting which left plenty of space for the large cast to move and inhabit a bygone era realistically. 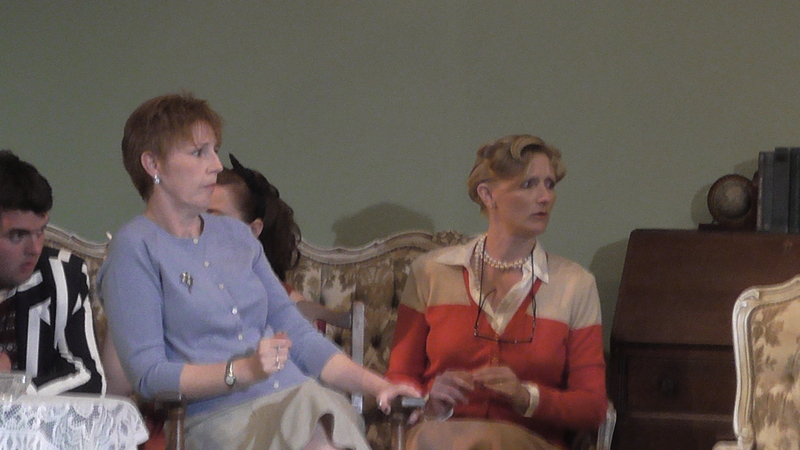 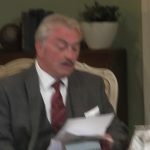 The music, lighting and sound effects were equally evocative with the Joan Hickson TV version of ‘Miss Marple’ providing a delightful soundtrack and for this we must thank Simon Matthews, Martin Inward and Tim Powers overseen by Production Manager Richard Fitt for their sensitivity and expertise. 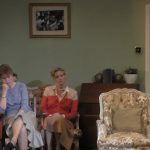 The hairstyles, make up and costumes, championed by Nikki Tsierkezou and Marina Coleman –Rivers, provided an authentic feel throughout which drew us into the period consistently and successfully. 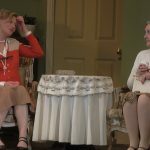 The script adapted by Leslie Darbor from Christie’s original does not have the wit of recent incarnations and ,by definition, it contains much explanation and exposition at the expense of genuine character development. 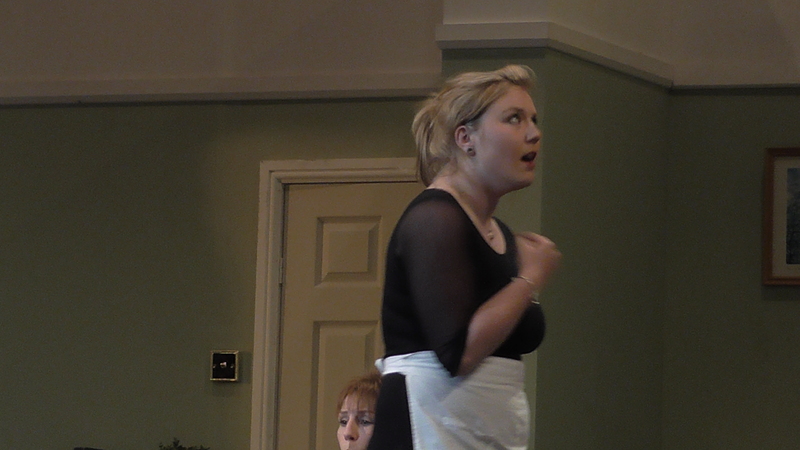 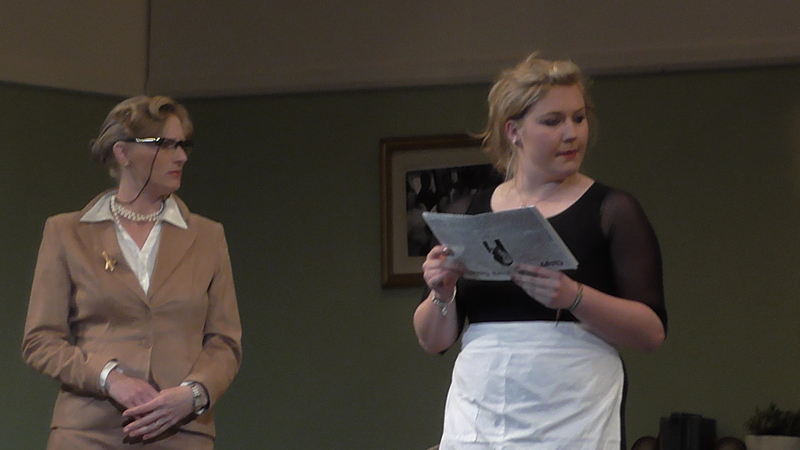 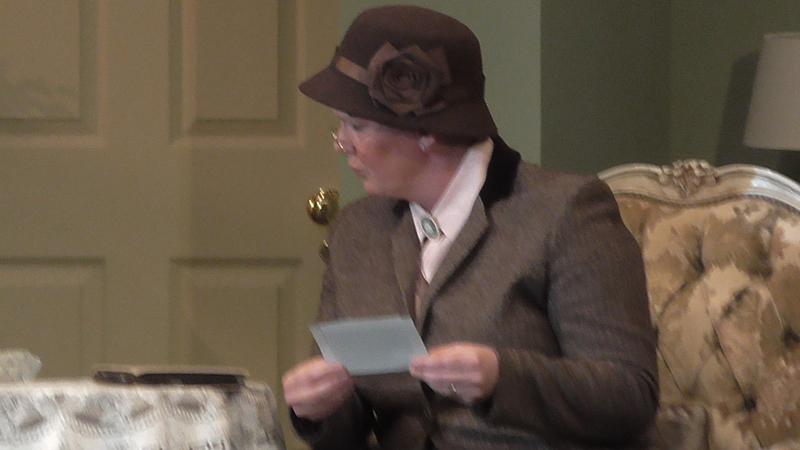 However, the cast were up to the task of convincing us that we were indeed in Chipping Cleghorn and that a murder had really been announced in the Gazette. 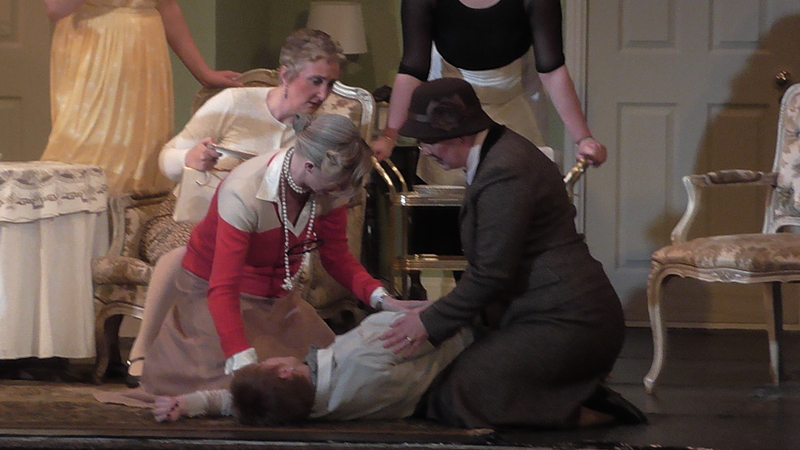 The shooting by torchlight and the poisoning of poor Bunny were particularly well done. 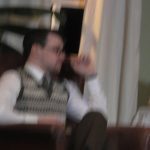 Hats off to fledgling director, Chris Baker, for his mastery of action sequences and his ability to place numerous cast members strategically whilst adding pace to their performances. 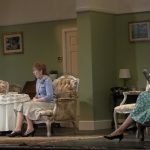 Given a large cast, it is inevitable that there will be inconsistencies of tone and this seemed to me to be the main issue with an otherwise immaculate piece of theatre. 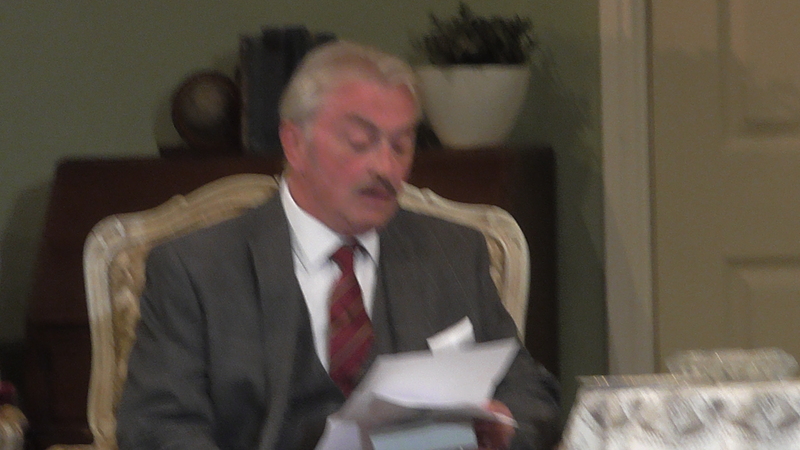 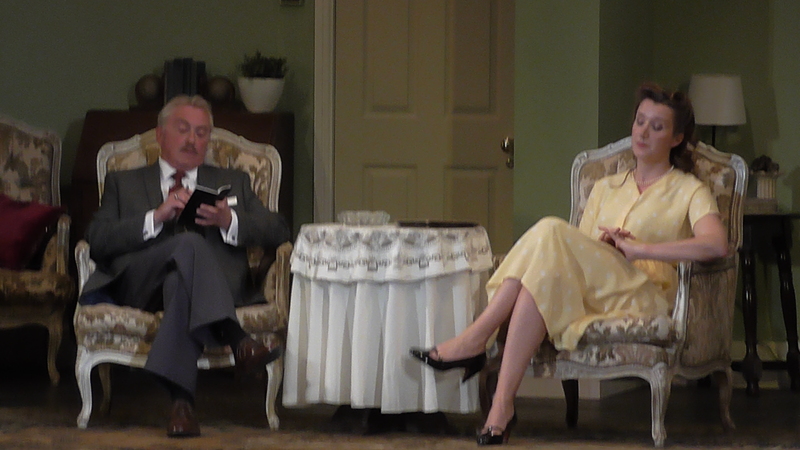 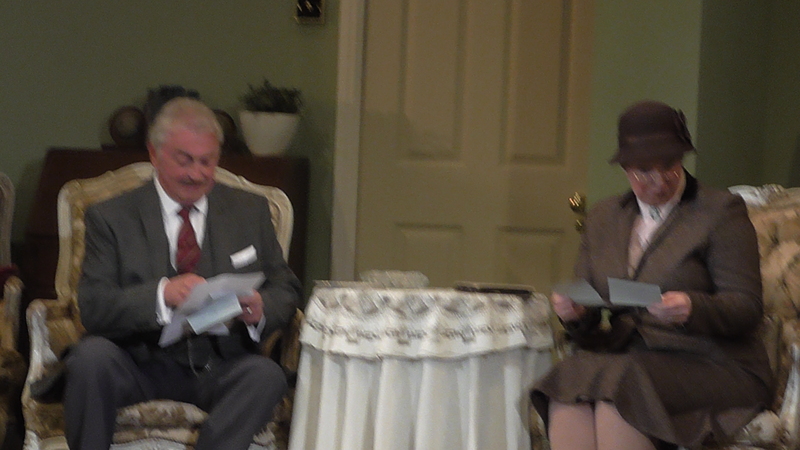 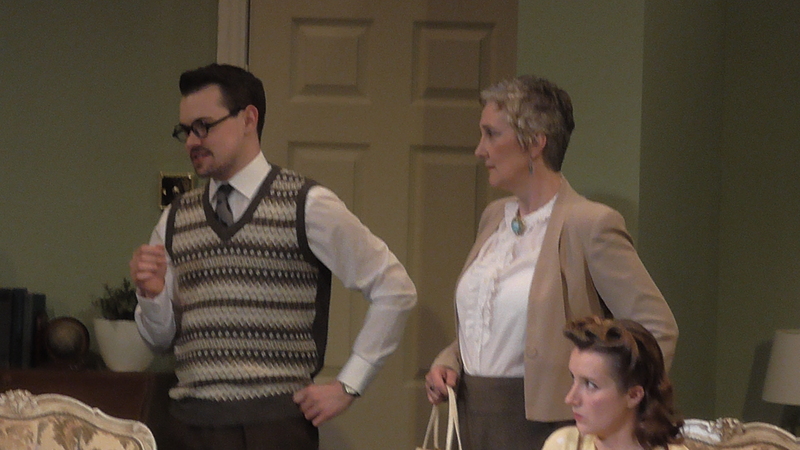 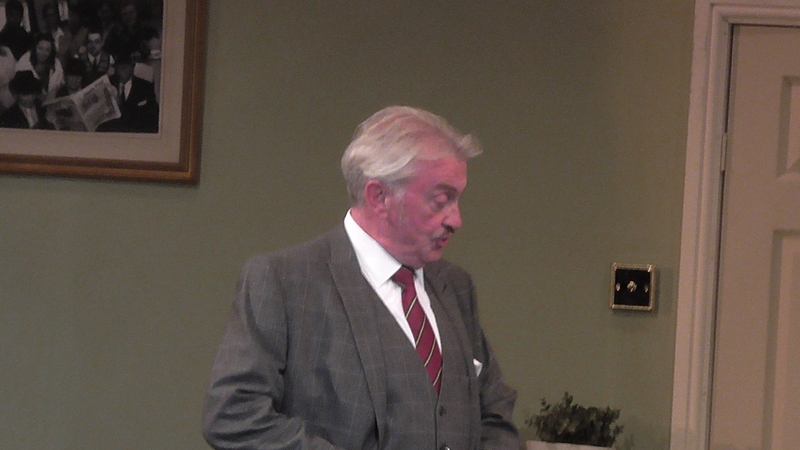 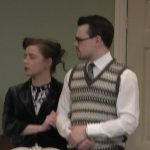 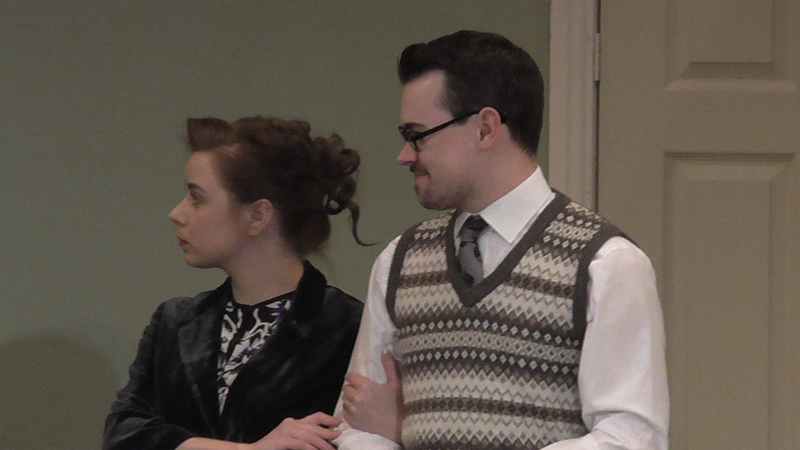 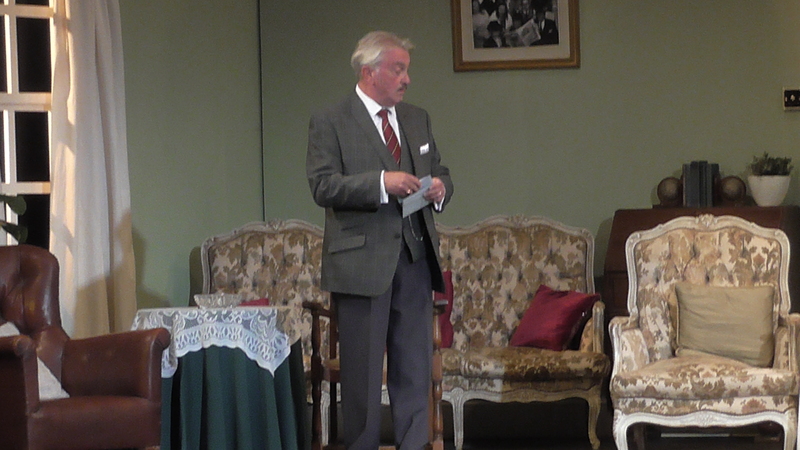 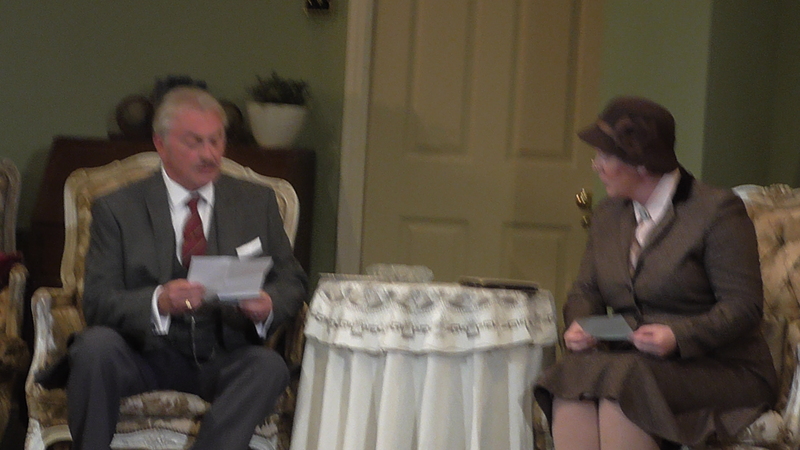 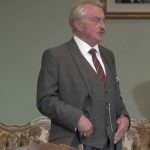 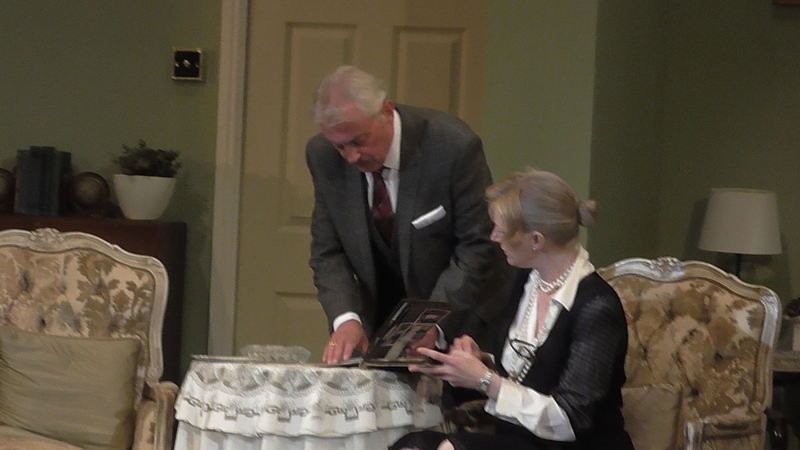 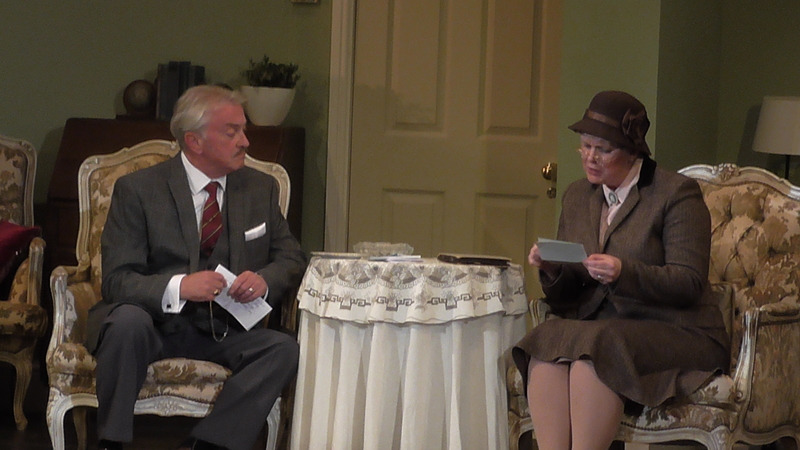 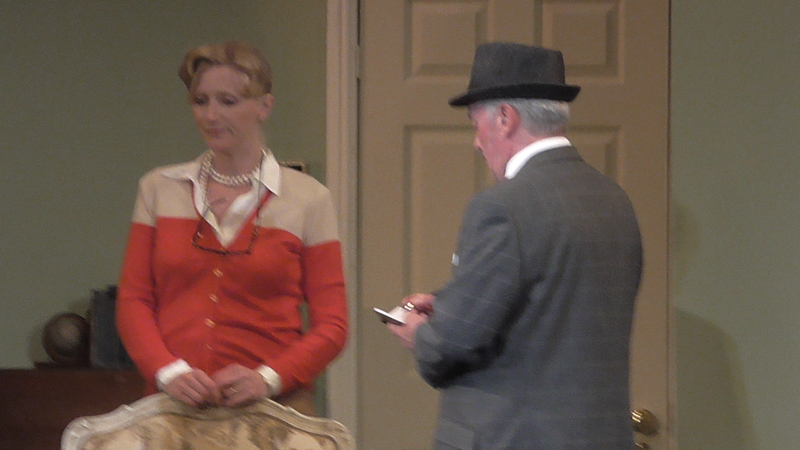 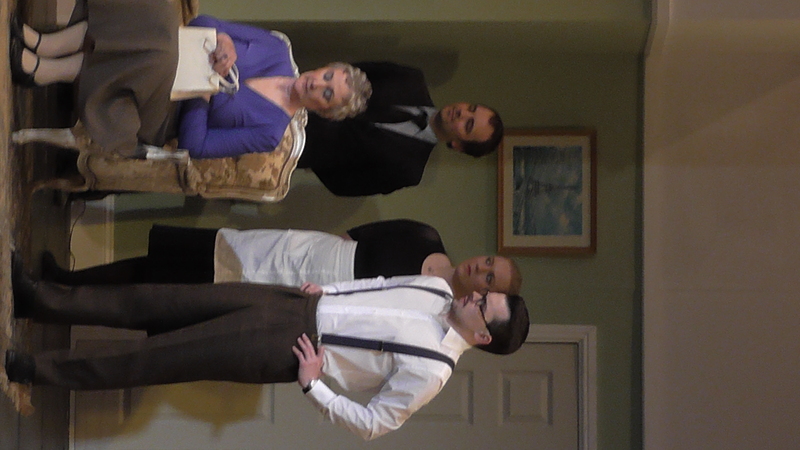 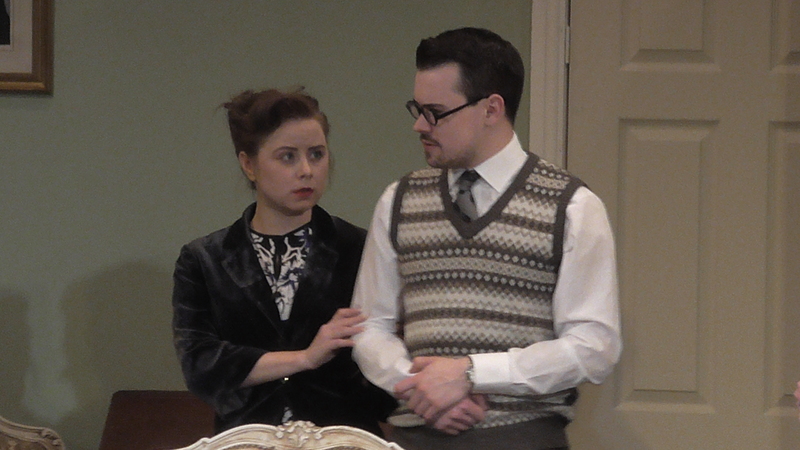 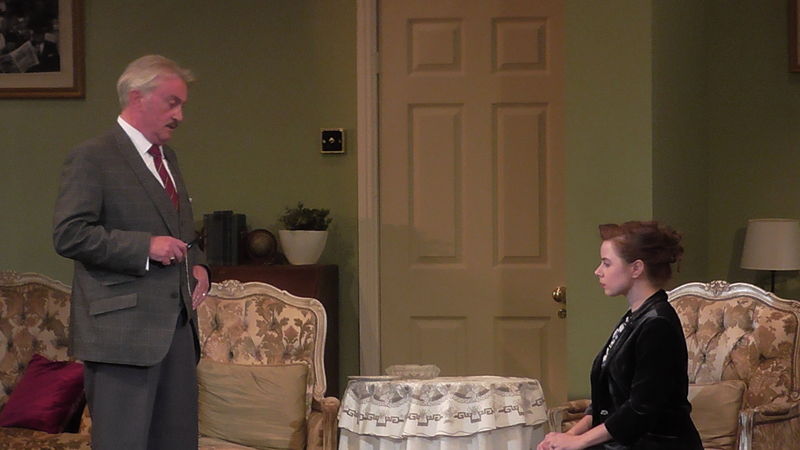 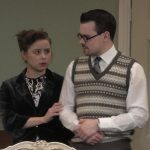 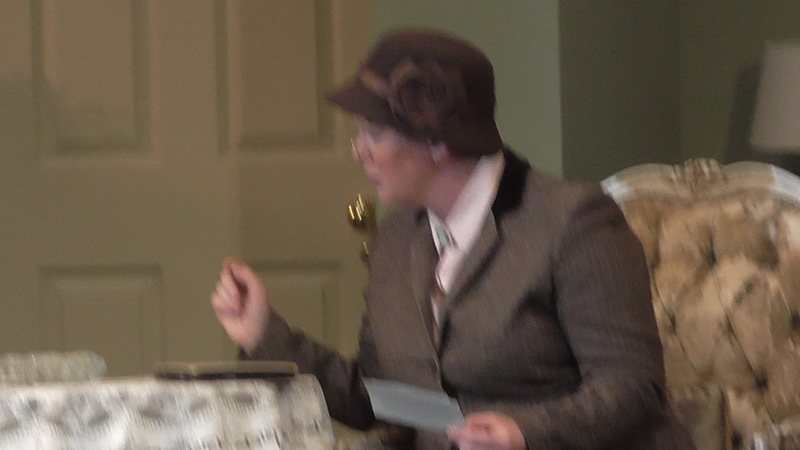 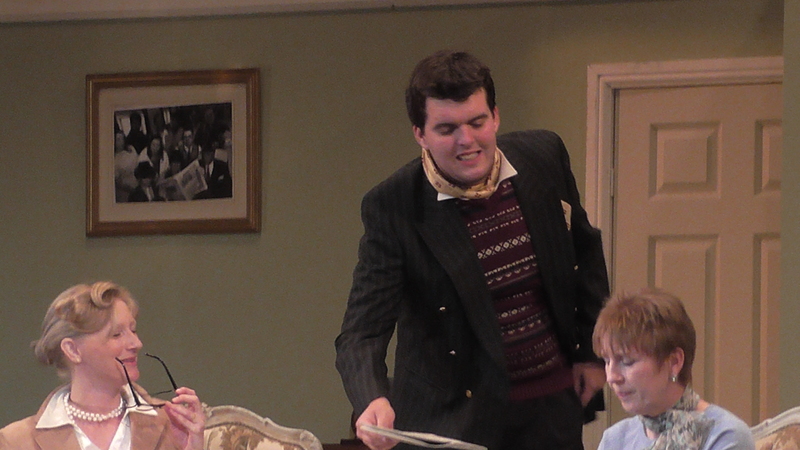 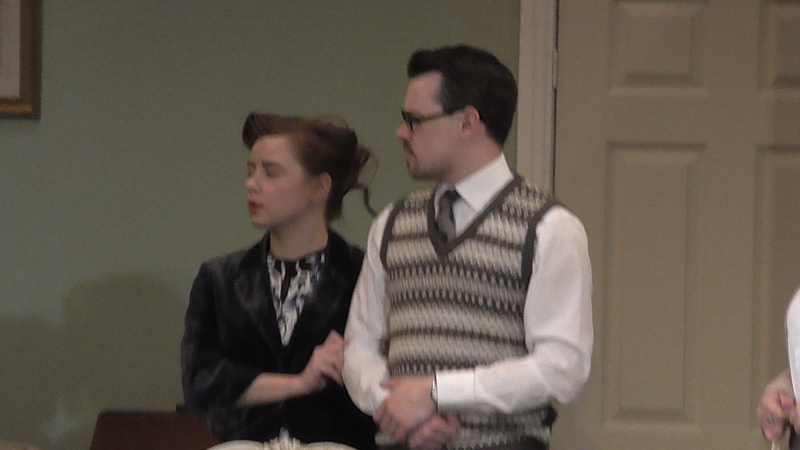 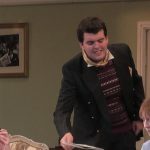 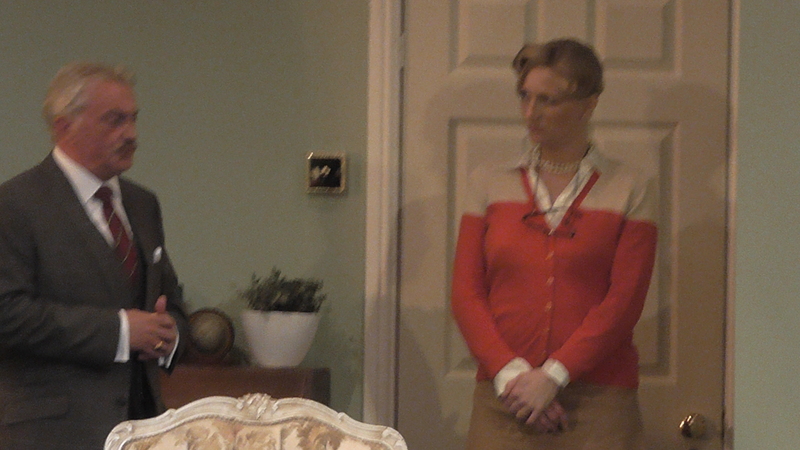 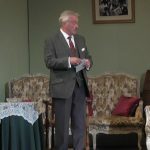 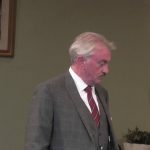 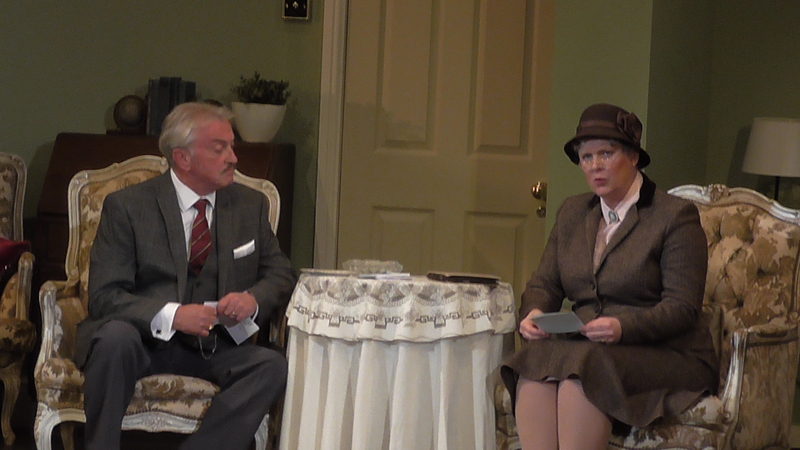 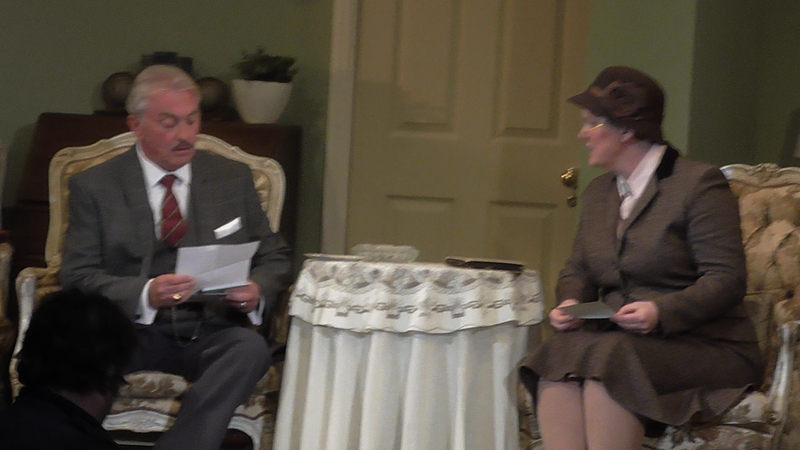 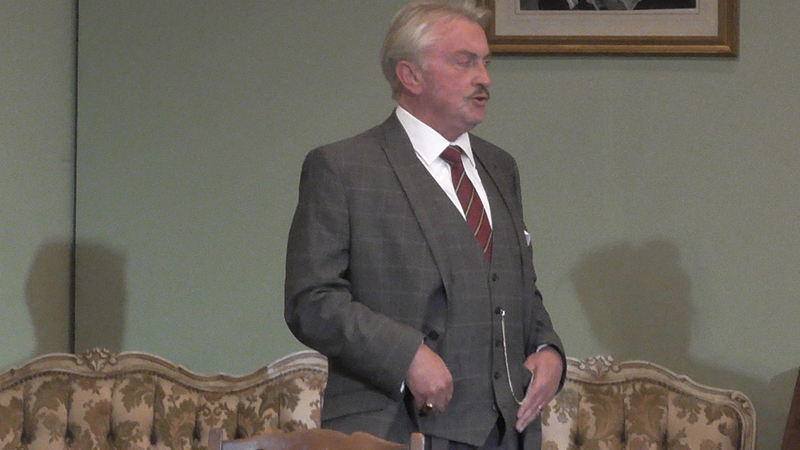 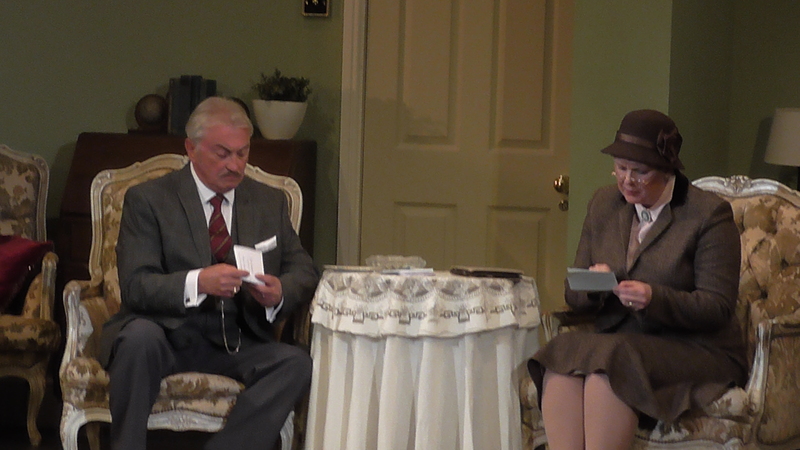 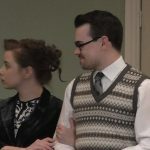 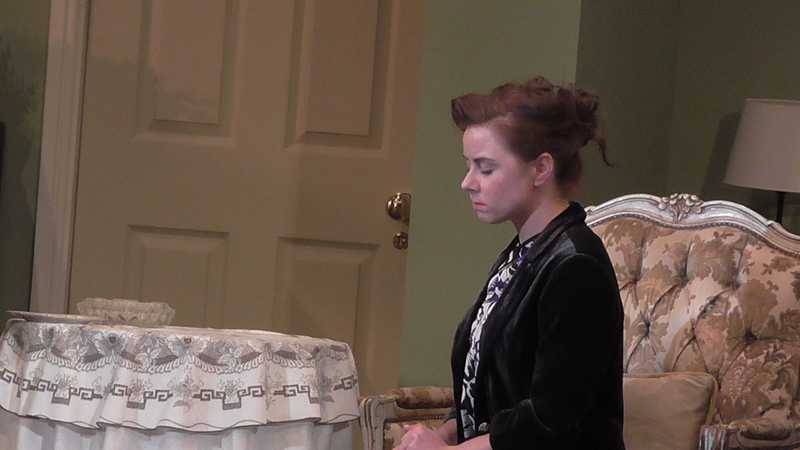 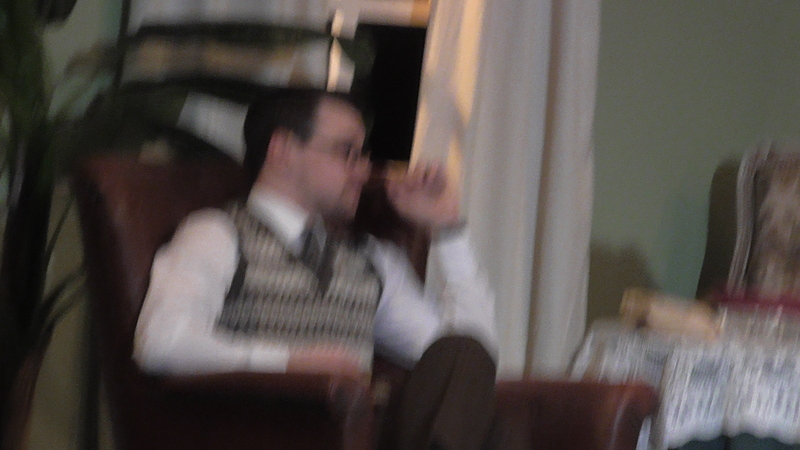 There were outstanding performances from Don McKay as Inspector Craddock and Louise Anderson as Miss Blacklock because they captured the nuances of speech in an entirely natural way whilst becoming their characters convincingly throughout the play. 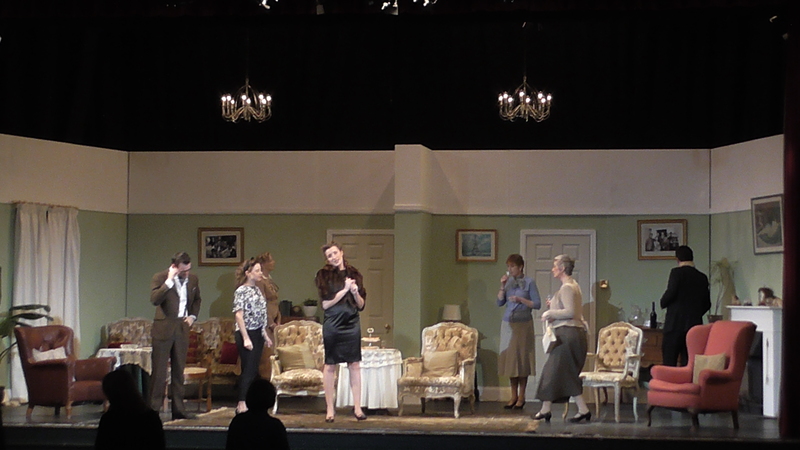 In a large auditorium, there is a propensity to shout and overplay rather than project and enunciate. 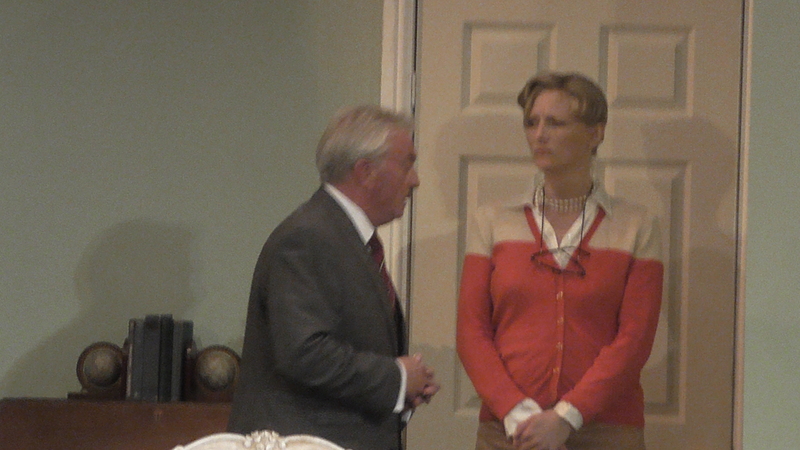 Neither of these wonderful actors fell foul of that difficulty. 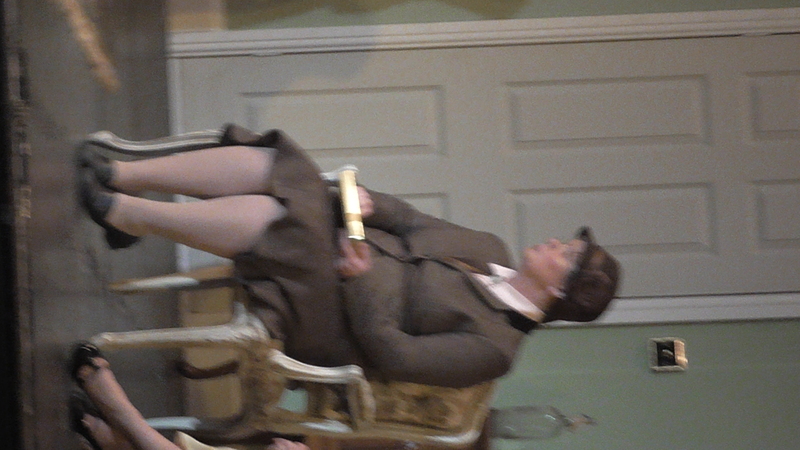 Other performances were more uneven but still very fine and of a quality that most societies only dream. 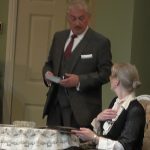 If I had to make one point to consider for the future, it would be that one never needs to overdo the looks that say ‘I am nosy’ or ‘I am interested’ or ‘I am listening.’ That may be a stage in the acting process but by the time of performance, it should come from within not without and allow the characters to be …not pretend to be. 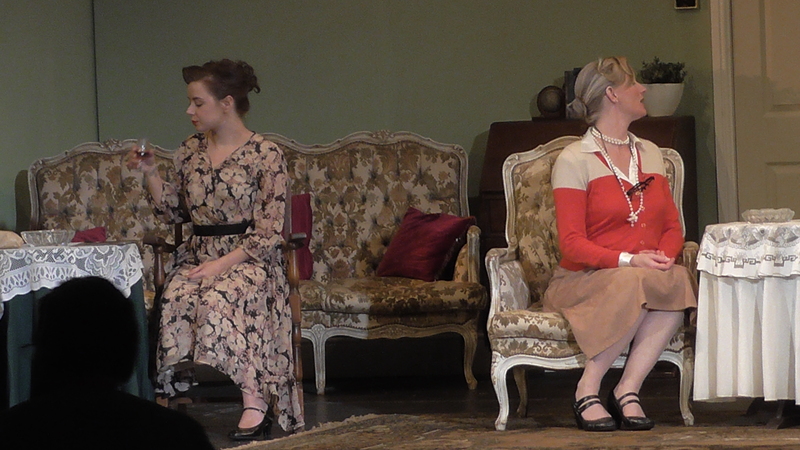 In other words, there is no need to try too hard to show the audience that you are someone else: just be that person. 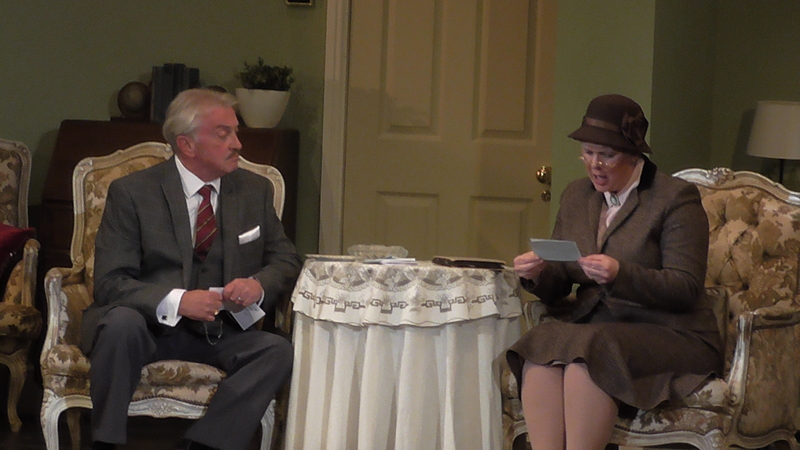 That being said, Emmeline Lyster’s Miss Marple was most endearing yet authoritative; we just knew that she would do most of the detection whilst Inspector Craddock relied on procedure! 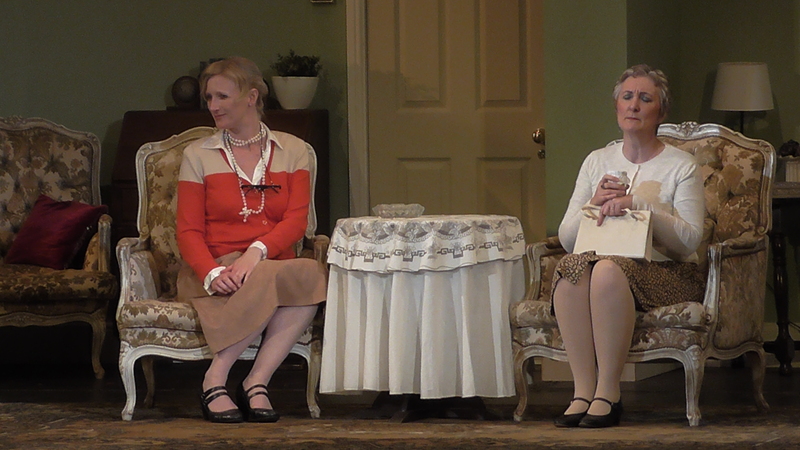 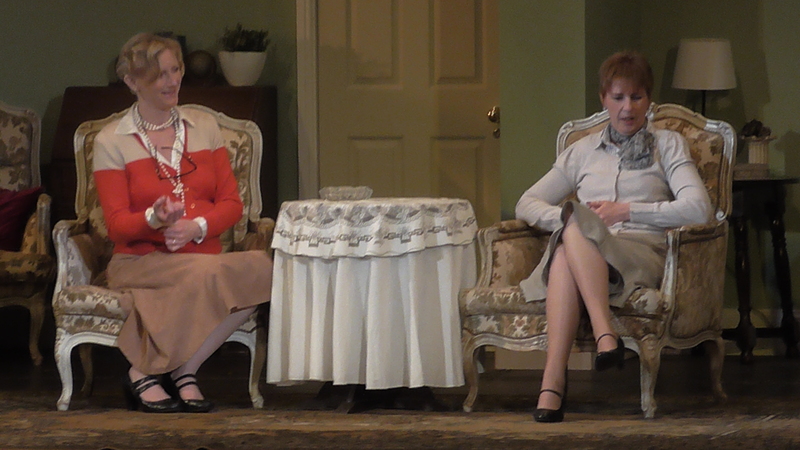 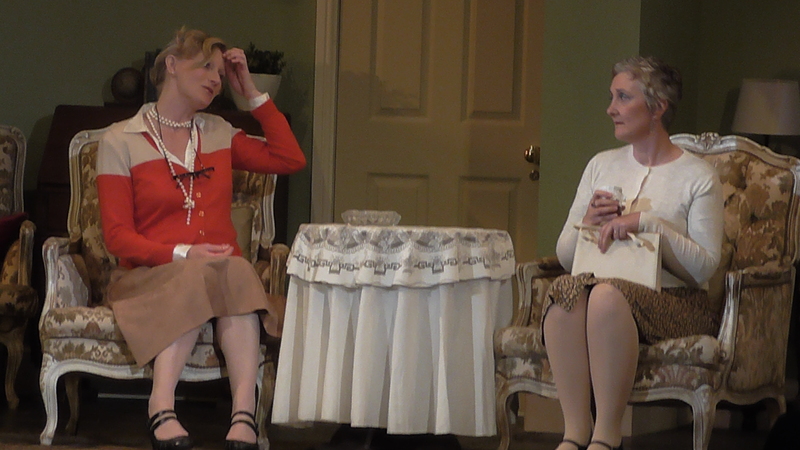 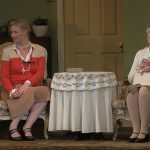 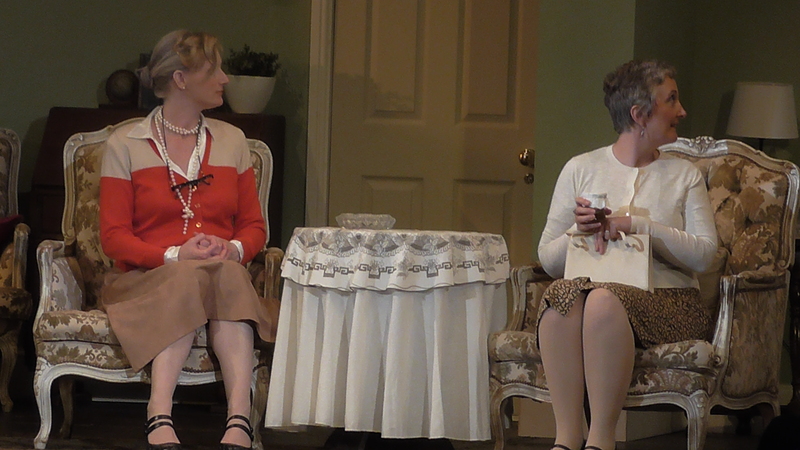 Lynda Collings’ Dora Bunner was fussy and funny, providing the majority of laughs and light hearted moments with some panache whilst Heike Riddle’s Mitzi was a heady mix of dizziness and double dealings with some fine physical comedy moments. 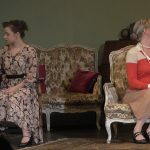 The young inheritors of Julia, Pippa and Patrick were interpreted with swagger and glamour in the strong portrayals of Stephanie Pittam, Charli Evans and Rowan Marshall respectively whereas the somewhat thankless parts of Edmund and his mother Mrs. Swettenham were given life and energy by Hugo Henche and Louise Hewitt. 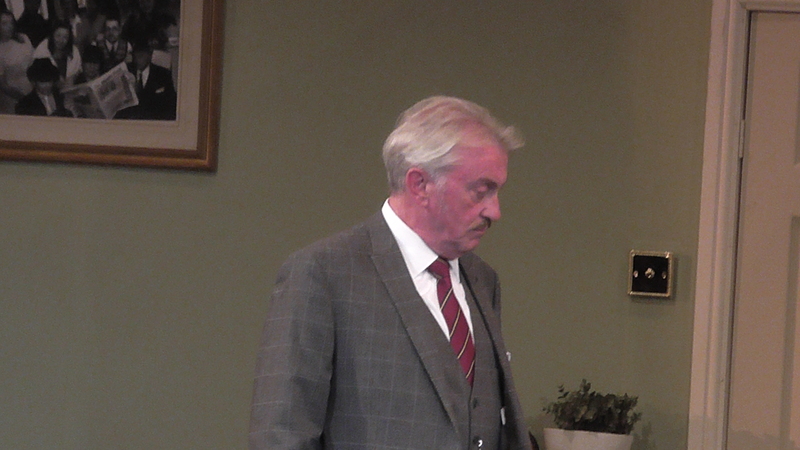 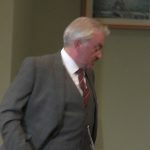 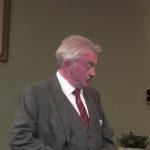 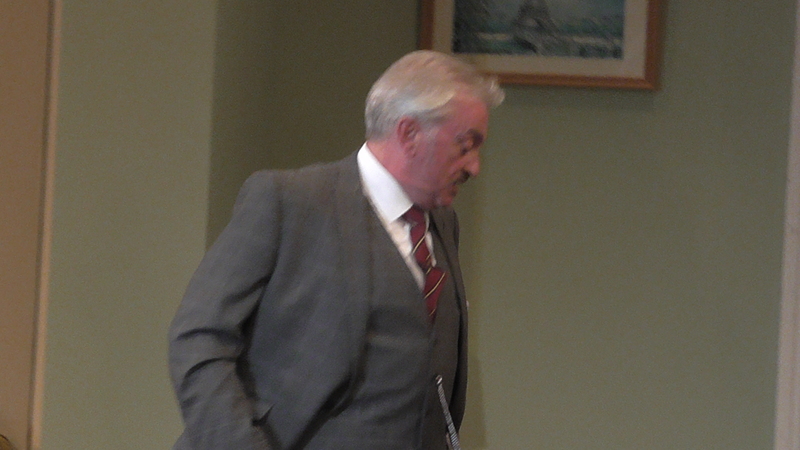 Tom Monkhouse provided sterling support as Rudi Scherz and Sergeant Mellors. 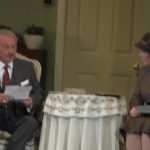 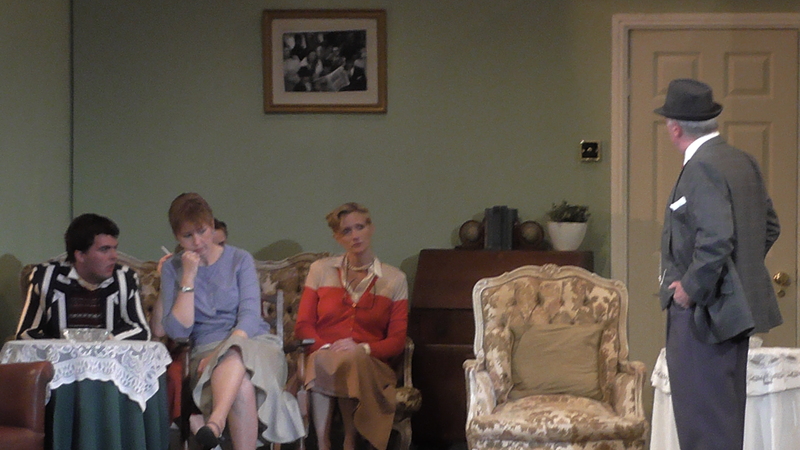 An appreciative and near capacity audience gave the play and players a well-deserved and enthusiastic round of applause for a terrific interpretation of an old favourite. 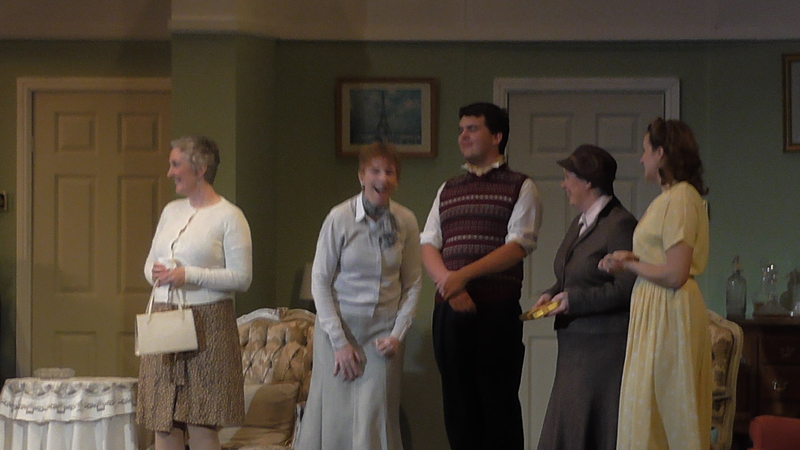 I thank the front of house team for their warm welcome and attentive care…and I look forward to seeing ‘The Ladykillers’ in September.